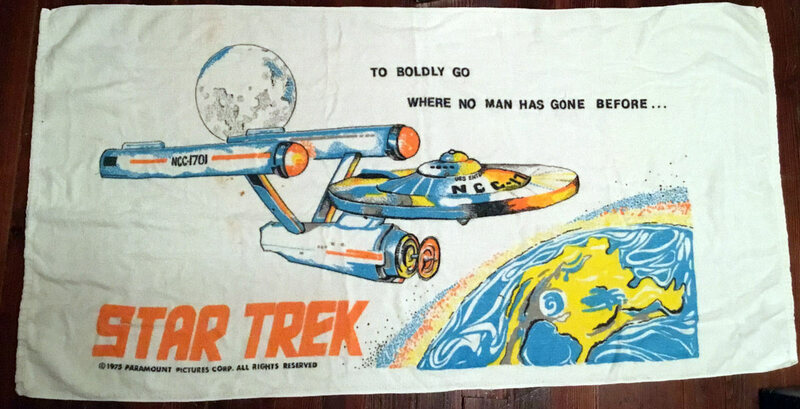 Plaid Stallions : Rambling and Reflections on '70s pop culture: Today is all about Star Trek Towels! 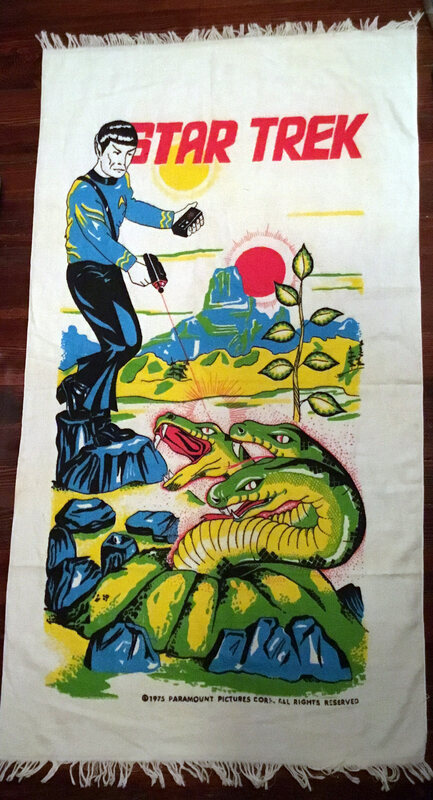 So this morning I had a wonderful email containing photos of my pal Corey's amazing collection of vintage Star Trek towels. 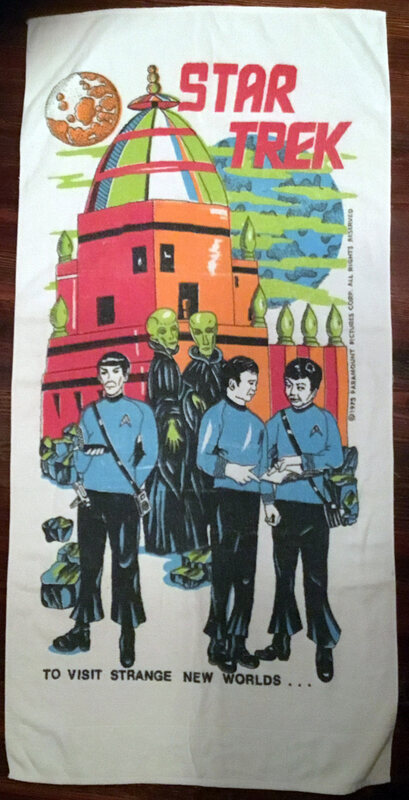 I'll be honest, I rarely thought of towels as a collectible (ok, I own like three) but now these are all I can think about. 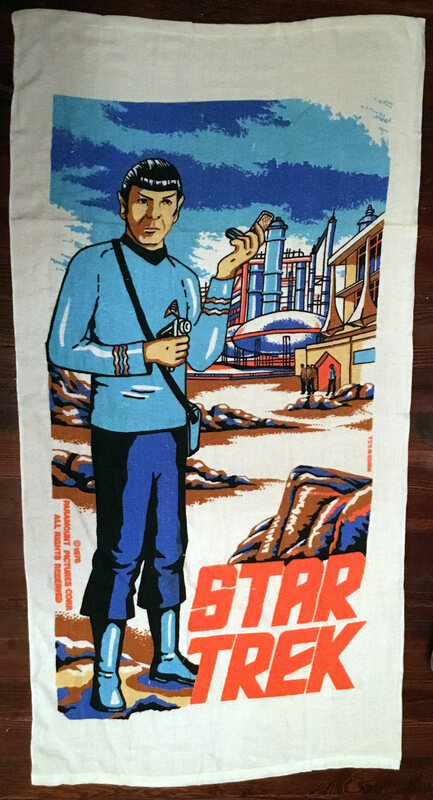 Disclaimer: I may sound like I'm mocking these in my comments but know that I've searched "Star Trek Towel" on Ebay twice today, so I'm a total fraud. Of all of these, I think this is my favourite, mostly because it's the awesome sauce Mr Spock model kit in towel form! How did i live without this? To visit Strange New Worlds: I'm gonna go out on a limb and guess that Deforest Kelly or William Shatner never saw this. 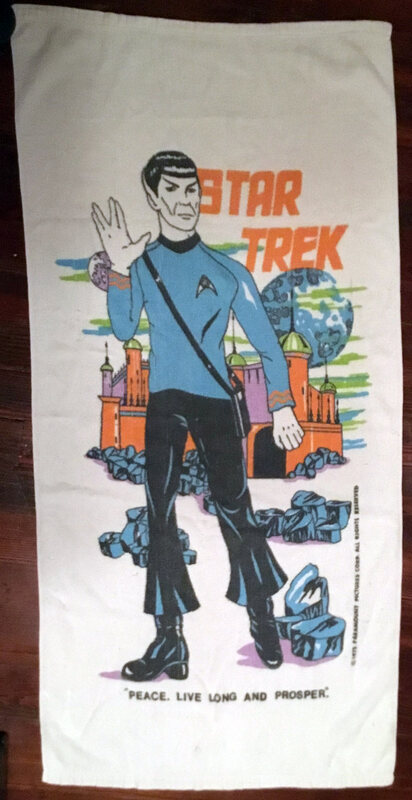 In case you haven't figured it out yet, Mr Spock was kind of the big draw when it came to these things. There are two missing from the set, a shot of Kirk and Spock (which looks a lot like the first cover of Starlog) and the Enterprise fighting a Klingon ship, so the Shat really got the shaft in all of this. That's the matte painting from "Where no man has gone before" I believe. Peace, Live Long and Prosper: I assume this is a shot of Spock on vacation, visiting the castles on Rigel VII, a guy can't enough hobbies. Personally I'd rather take a shower with Uhura than Spock though.